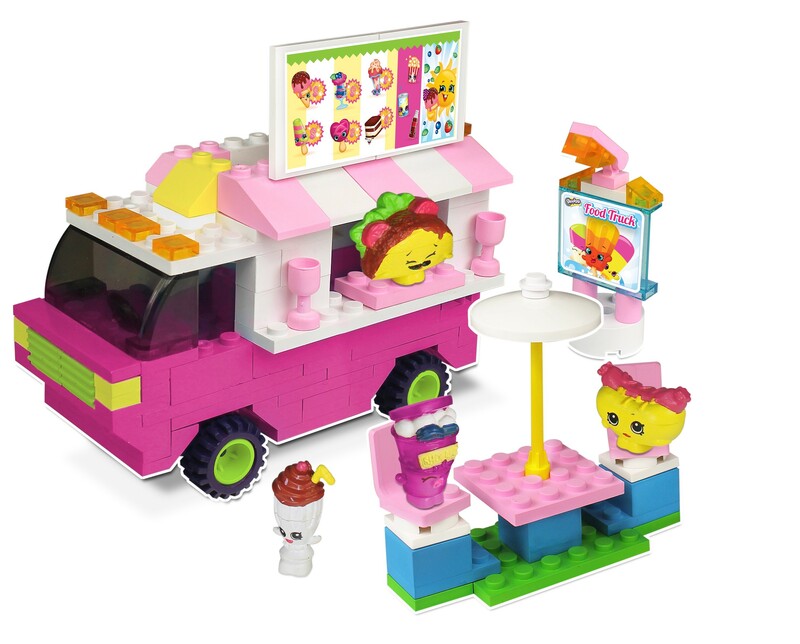 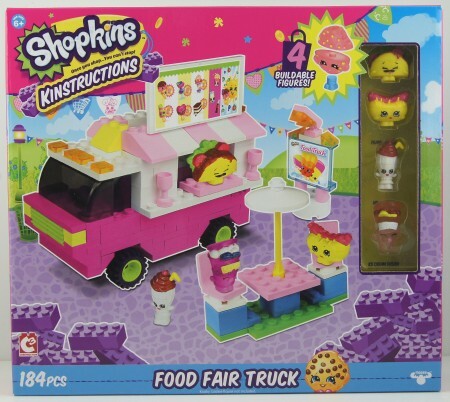 The Shopkins Food Fair Truck is rolling into Shopville, with loads of tasty snacks. 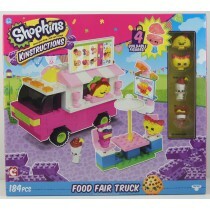 This fabulous pink truck comes with a roof mounted menu board, street sign and outdoor table with parasol. 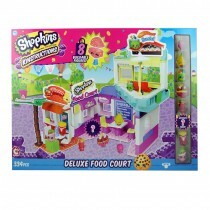 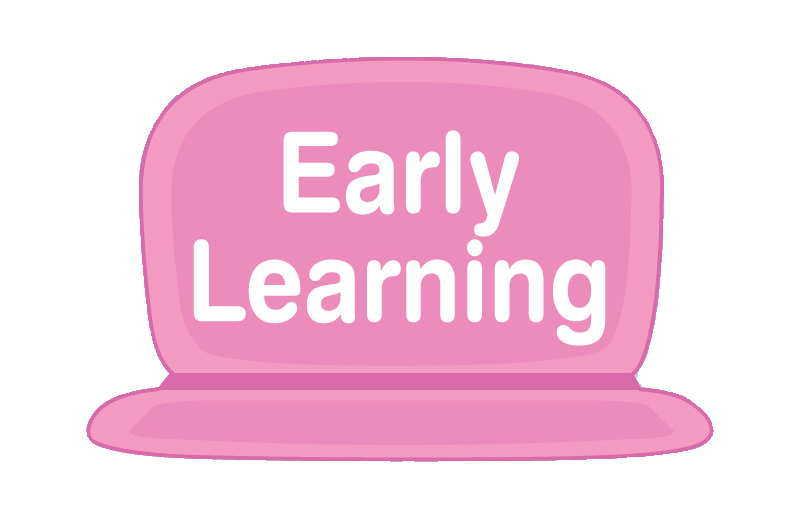 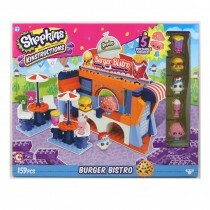 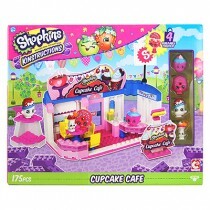 Includes four food themed Shopkins Kinstruction figures and more than 180 pieces. 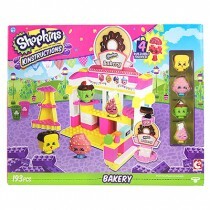 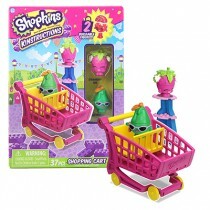 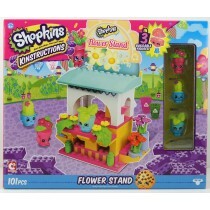 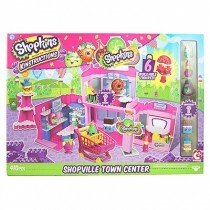 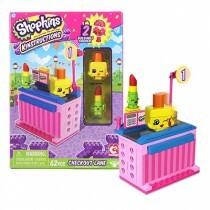 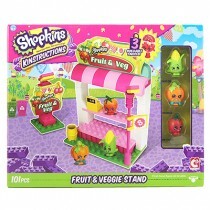 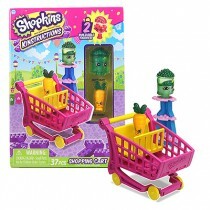 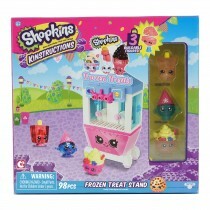 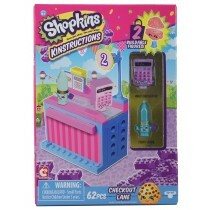 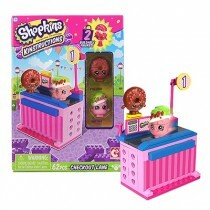 Includes 4 detachable Shopkins™ figures - pull apart to mix and match. 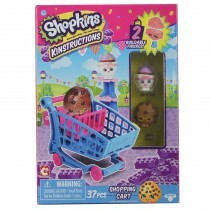 Pieces completely compatible with other major construction brands.